It was no coincidence that homosexuals migrated to San Francisco in the Seventies, for the city was famed as a playful place, more Catholic than Protestant in its eschatological intuition. In 1975 the state of California legalized consensual homosexuality, and about that same time Castro Street began to eclipse Polk Street as the homosexual address in San Francisco. Polk Street was a string of bars. The Castro was an entire district. The Castro had Victorian houses and churches, bookstores and restaurants, gyms, dry cleaners, supermarkets, and an elected member of the Board of Supervisors. The Castro supported baths and bars, but there was nothing furtive about them. On Castro Street the light of day penetrated gay life through clear plateglass windows. The light of day discovered a new confidence, a new politics. Also a new look—a noncosmopolitan, Burt Reynolds, butch-kid style: beer, ball games, Levi’s, short hair, muscles. Gay men who lived elsewhere in the city, in Pacific Heights or in the Richmond, often spoke with derision of “Castro Street clones,” describing the look, or scorned what they called the ghettoization of homosexuality. To an older generation of homosexuals, the blatancy of sexuality on Castro Street threatened the discreet compromise they had negotiated with a tolerant city. As the Castro district thrived, Folsom Street also began to thrive, as if in counterdistinction to the utopian Castro. The Folsom Street area was a warehouse district of puddled alleys and deserted streets. Folsom Street offered an assortment of leather bars, an evening’s regress to the outlaw sexuality of the Fifties, the Forties, the nineteenth century, and so on—an eroticism of the dark, of the Reeperbahn, or of the guardsman’s barracks. The Castro district implied that sexuality was more crucial, that homosexuality was the central fact of identity. The Castro district, with its ice-cream parlors and hardware stores, was the revolutionary place. It was the glamour of gay life, as much as it was the feminist call to career, that encouraged heterosexuals in the Seventies to excuse themselves from nature, to swallow the birth control pill. Who needs children? The gay bar became the paradigm for the singles bar. The gay couple became the paradigm for the selfish couple—all dressed up and everywhere to go. And there was the example of the gay house in illustrated lifestyle magazines. At the same time that suburban housewives were looking outside the home for fulfillment, gay men were reintroducing a new generation in the city—heterosexual men and women—to the complacencies of the barren house. Puritanical America dismissed gay camp followers as yuppies; the term means to suggest infantility. Yuppies were obsessive and awkward in their materialism. Whereas gays arranged a decorative life against a barren state, yuppies sought early returns—lives that were not to be all toil and spin. Yuppies, trained to careerism from the cradle, wavered in their pursuit of the Northern European ethic—indeed, we might now call it the pan-Pacific ethic—in favor of the Mediterranean, the Latin, the Catholic, the Castro, the Gay. From “Late Victorians,” which appeared in the October 1990 issue of Harper’s Magazine. 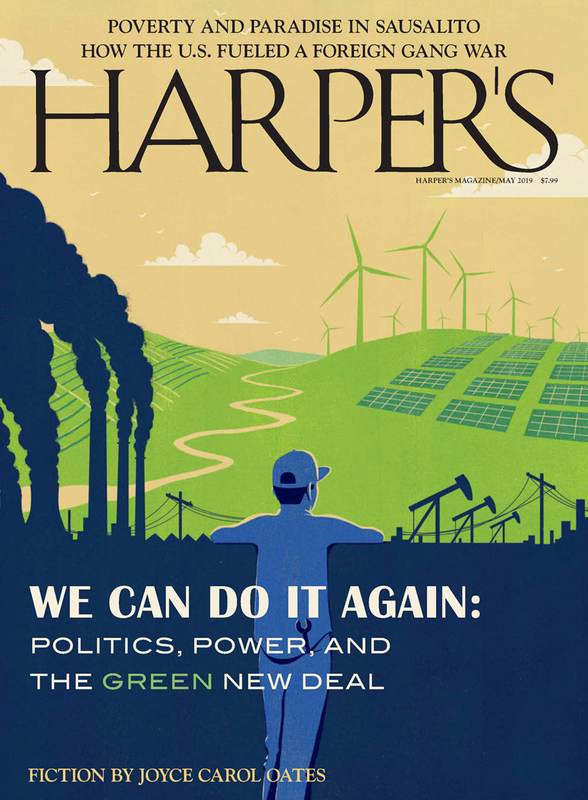 The complete essay—along with the magazine’s entire 167-year archive—is available online at harpers.org/fromthearchive.